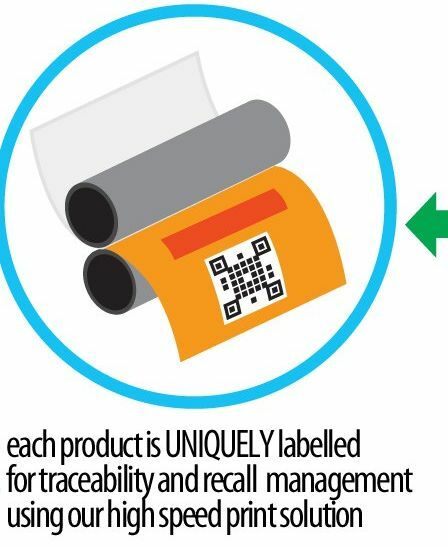 Melbourne-based packaging equipment supplier Result Group has partnered with a traceability and anti-counterfeit solutions provider to provide more product information to consumers. The provider, IDlocate, has a consumer-facing authentication platform which enables the printing of coding systems on packaging. It works on any smartphone or handheld device, and on any QR code reader. Result Group GM Michael Dossor said consumers were demanding traceability as to the source of supply, and this off-the-shelf solution would meet their needs. “A brand owner can now build custom content relevant to their products and existing systems, and share this with consumers at the touch of a button," he said. “Consumers want to know what they are buying, where it has come from, how long it has travelled, and when it was harvested. “Growing information, ingredient details, promotional offers, export origin, and serving suggestions are all provided to the consumer’s hands in real time. Business unit manager Michael Harrop said the partnership would provide a turnkey solution from coding and marking equipment and control software to print a unique QR code on every product. “While there are a few other options in the market, we haven’t seen anything that works so well from both the manufacturer's and the consumer's point of view,” he said. IDlocate was founded last year by two consumer behaviour specialists who saw that the platforms to date had been IT led, and not delivering what the consumer was demanding.